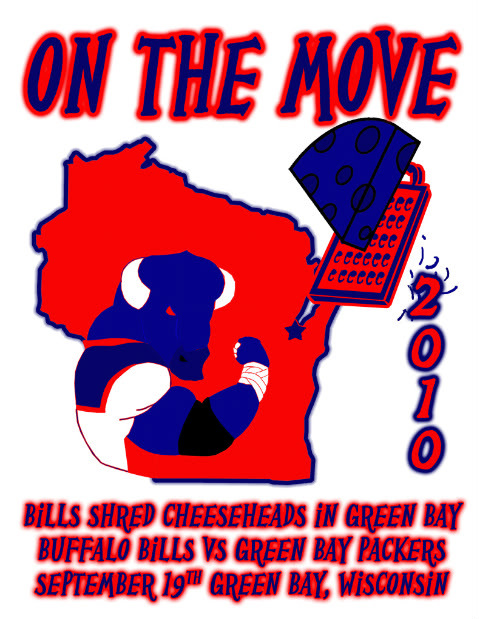 The Bills Backers will be on the road this weekend in downtown Green Bay where they’ll be in a big time eating competition with Packers Backers the Saturday night before the game. Here are the details if you’re going to be in town. The eating competition will take place at the Prime Quarter in Green Bay and will showcase Bills fans vs. Packers fans in a competition to eat a 40 oz. steak and sides in the fastest time. The contest is scheduled to kick off Saturday Sept. 18 at 7 pm. The restaraunt is located at 2610 South Oneida St. in Green Bay. Best of luck fellas. Hope you skip lunch.